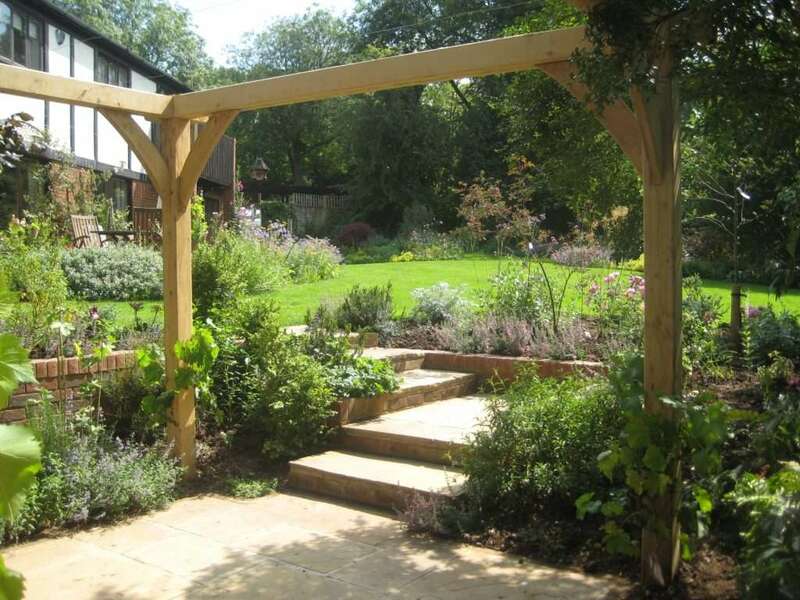 We offer a range of pergolas and archways to suit different garden shapes, sizes and budgets. 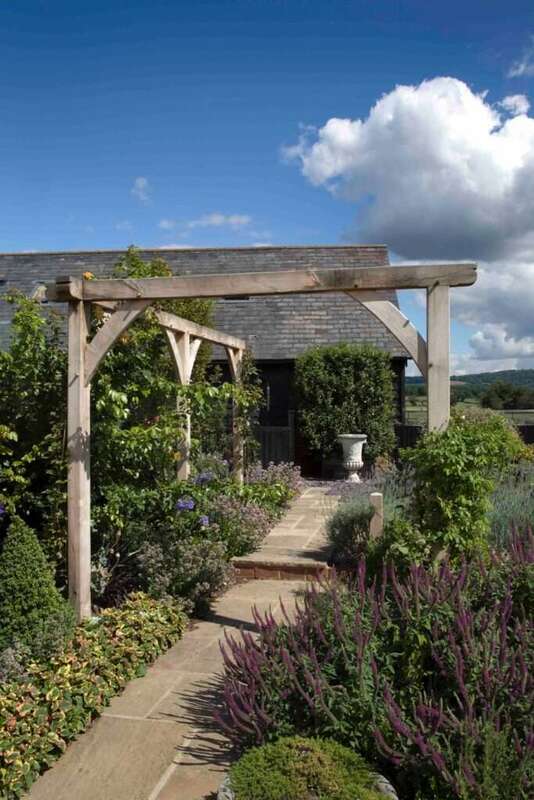 All of our Pergolas are handcrafted and made from Solid English Oak. 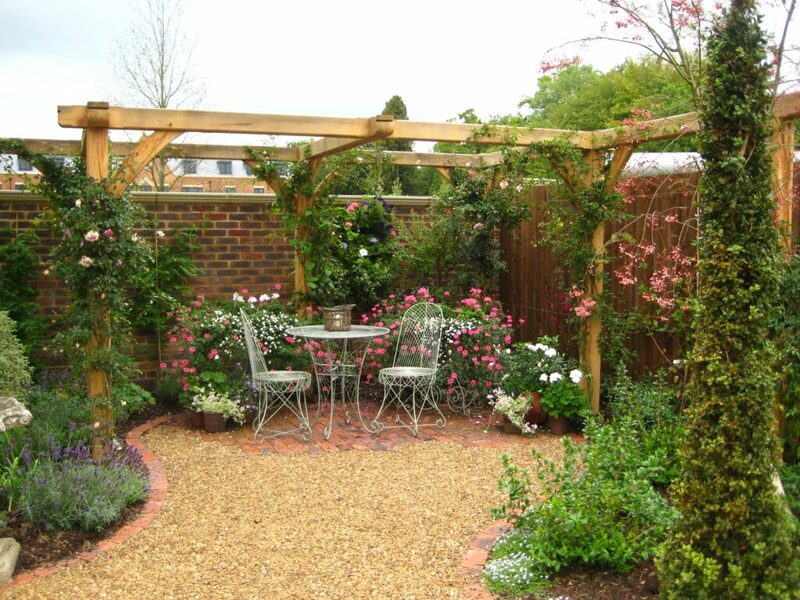 We also offer bespoke pergolas in different types of wood and different measurements, specific to your requirements. 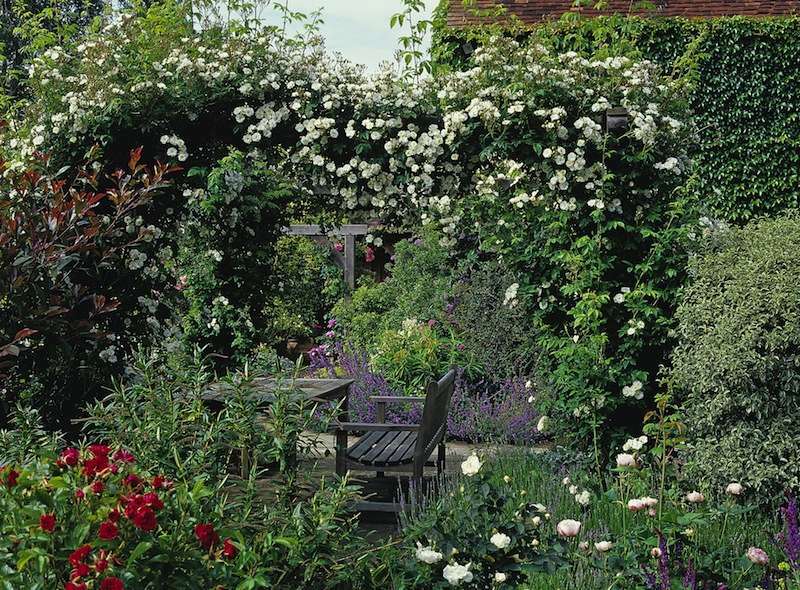 Ideal for seating areas, pathways, roses and climbers. 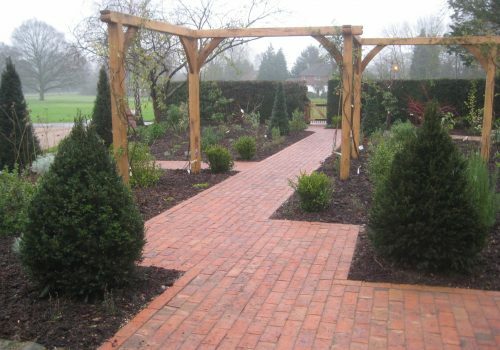 We are committed in delivering the best wooden pergolas available, with free shipping anywhere in the UK. 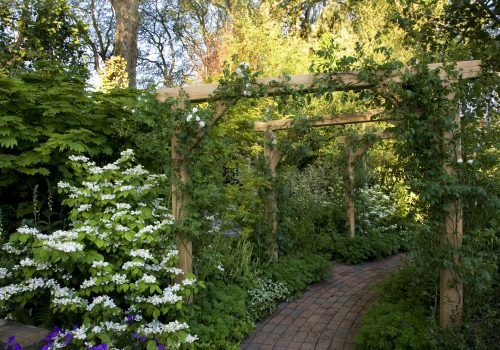 Our Pergolas can be seen in gardens at the Chelsea Flower Show and Hampton Court, which have won countless gold medals over the last 2 decades. 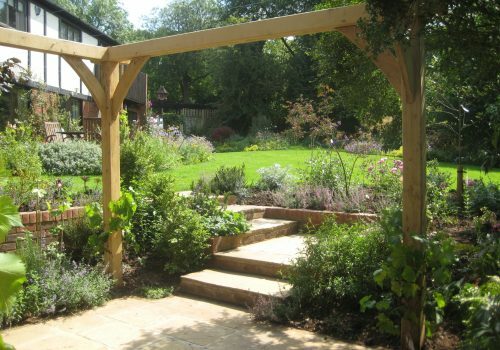 These English Oak Pergolas have evolved in a complete harmony with our traditional style of garden, which adds the form, structure and height into which planting can naturally evolve and flourish. 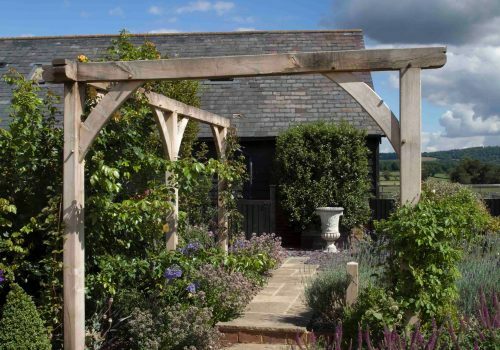 By combining carefully selected English Oak, with age old methods of preparation and construction, these pergolas will stand the test of time and provide significant enhancement to any property. 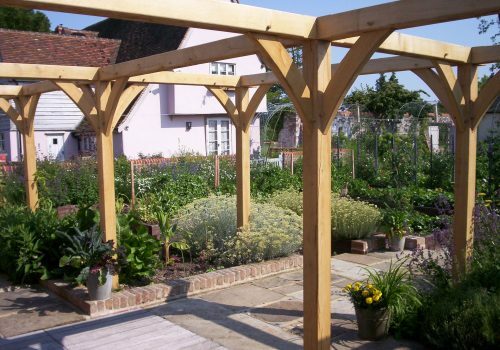 HOW CAN I USE MY PERGOLA IN MY GARDEN? 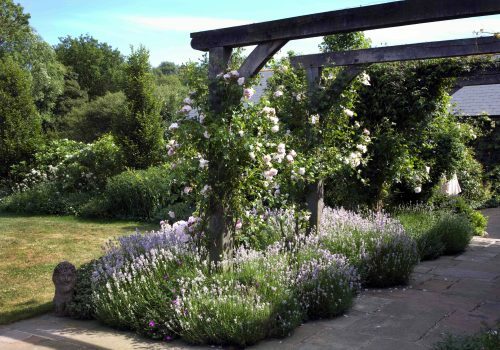 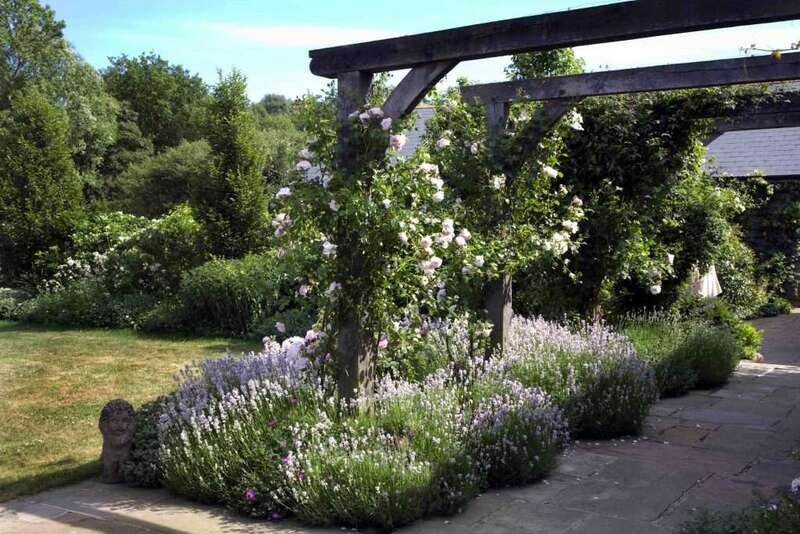 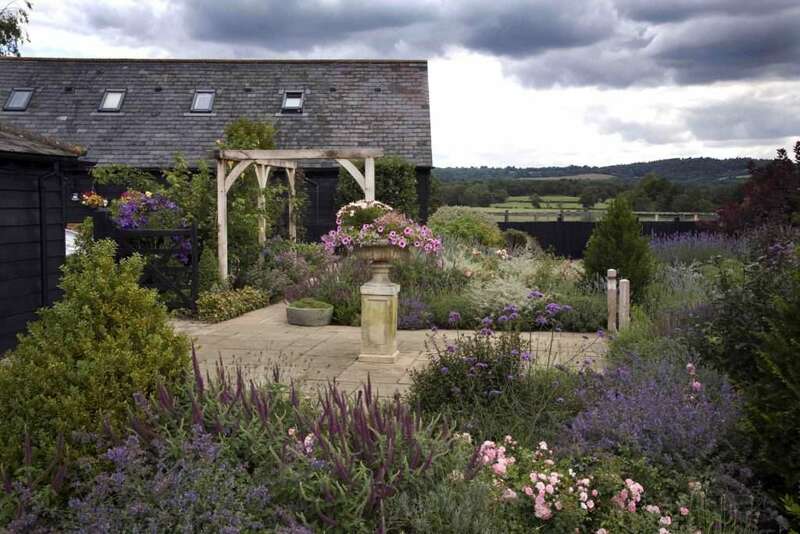 Pergolas are ideal for growing rambling roses or climbers up. 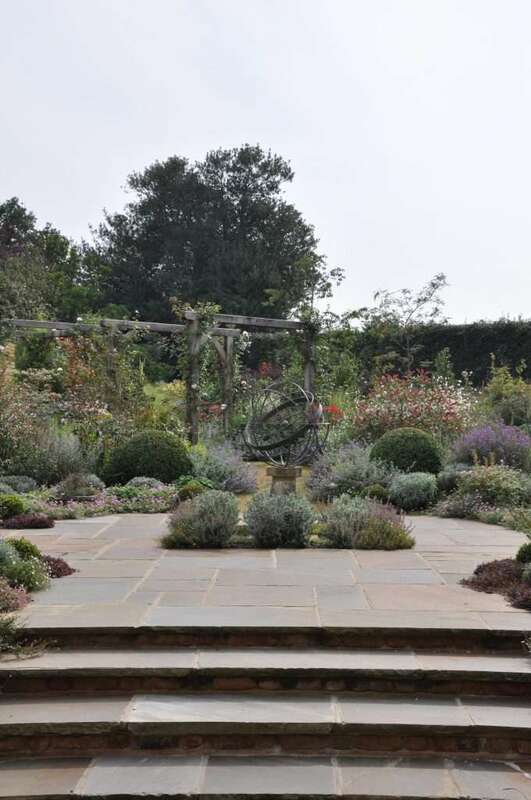 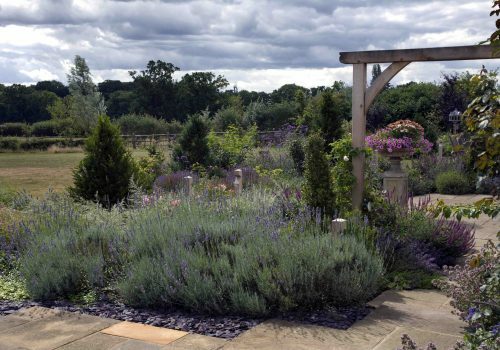 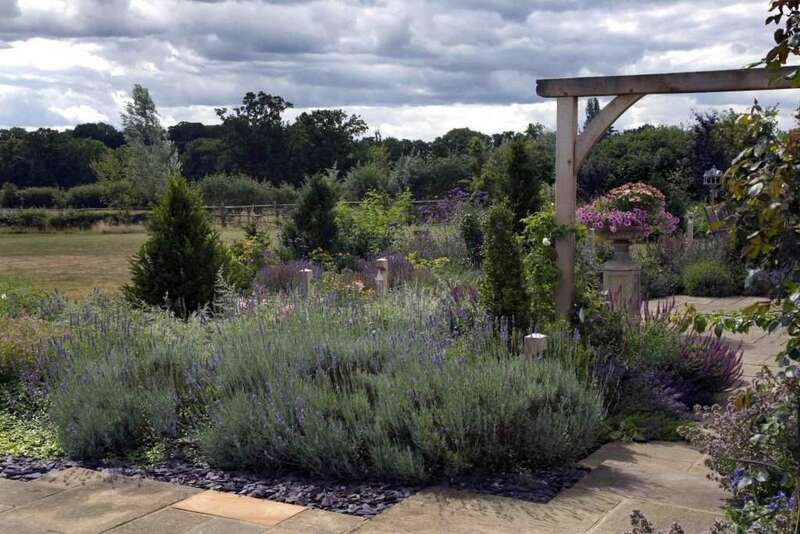 You can allow your plants to naturally evolve and flourish by lightly training them around the oak, making the planting look very effective whilst keeping them easily under control. 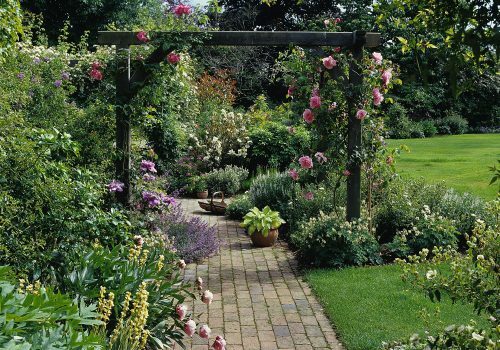 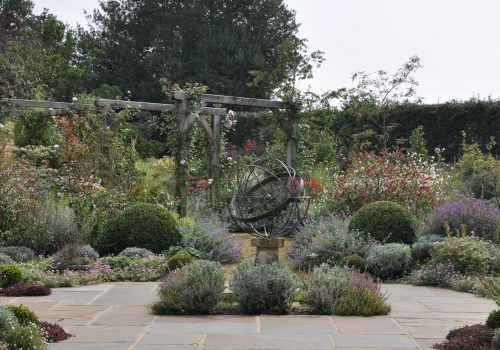 Corner Pergolas are a great way of providing the garden with a secluded area for sitting, relaxing or entertaining as well as creating a section of the garden which can be planted up with climbers and rambling roses to grow up the sides of the pergola, naturally, to create a cosy walkway. 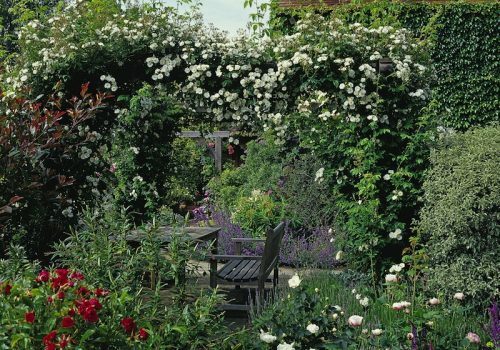 By creating different viewpoints in your garden, you can enjoy your garden many times over from different standing or seating positions. 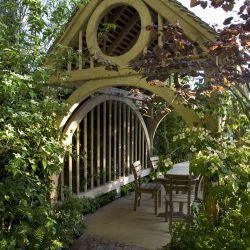 Our craftsmen-built traditional pergolas are constructed in ‘green’ English Oak which naturally ages from golden honey to silver grey. 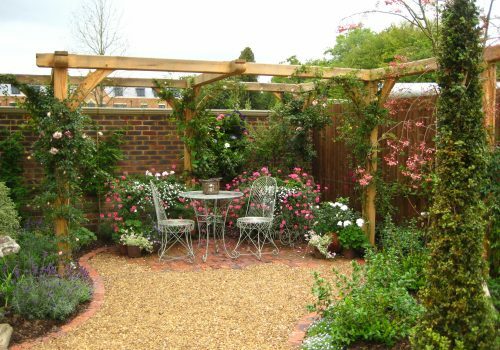 The selection of sympathetic materials, careful design, detailing, and proportions ensures that each pergola quickly becomes visually integrated into the garden setting, whether within the areas of planting or as a partial enclosure in which to relax and enjoy the atmosphere you have created. 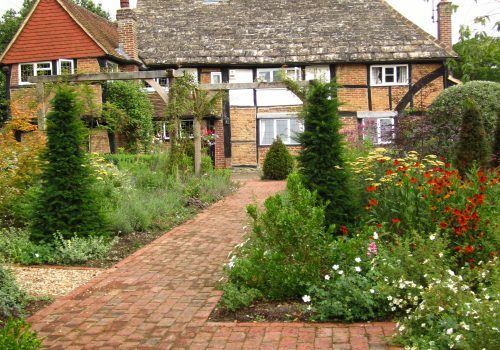 The handmade joints are held together with sturdy oak pegs in the traditional manner giving maximum strength and durability. 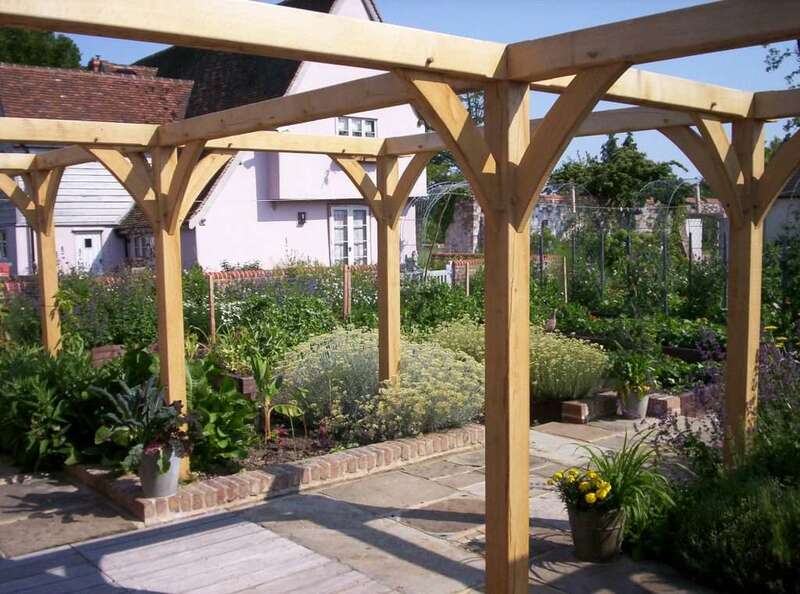 Standard Pergola dimensions are 2.1m high x 2m wide. 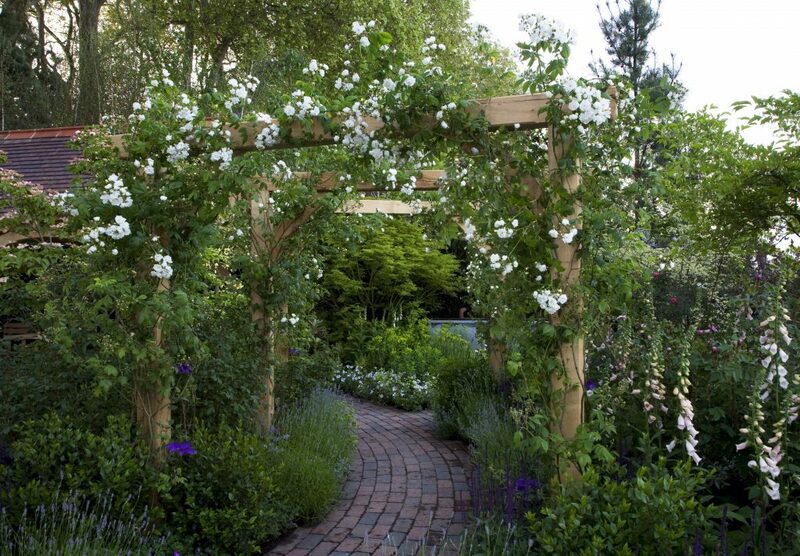 Corner pergolas are 2.1m high x 2m wide x 4m deep. 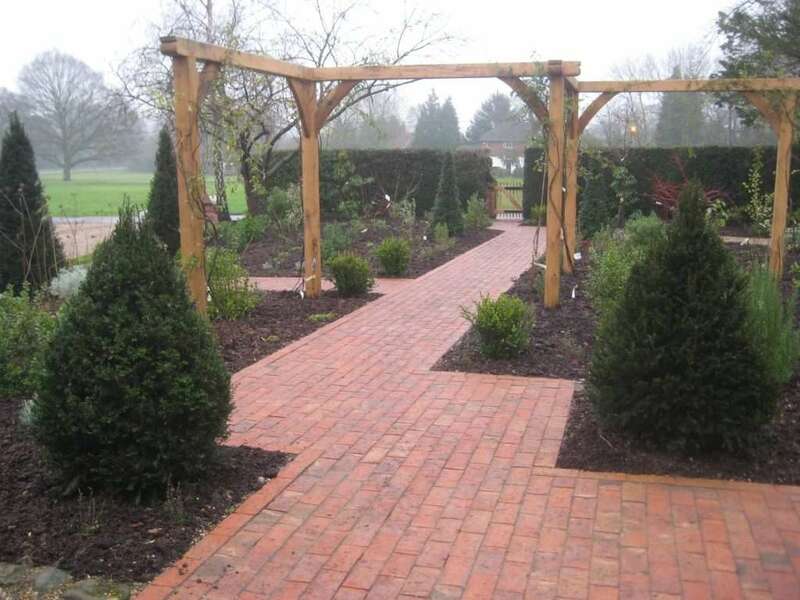 To order a bespoke size please call or email us with your requirements. 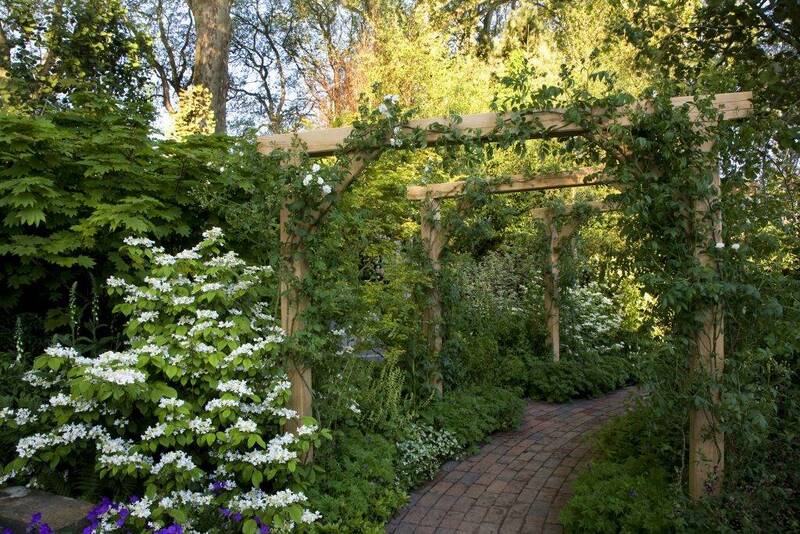 If you would like planting around your pergola, or garden design. 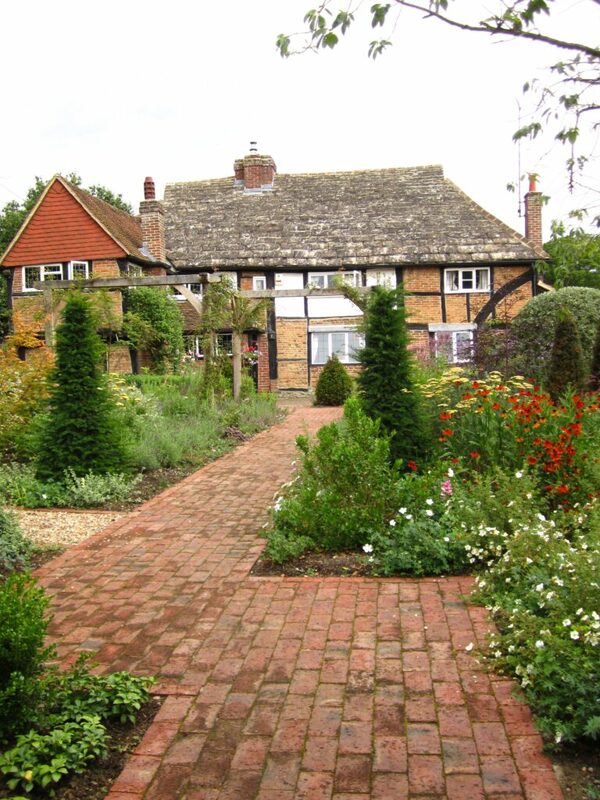 We can do this for you also.